Nope! 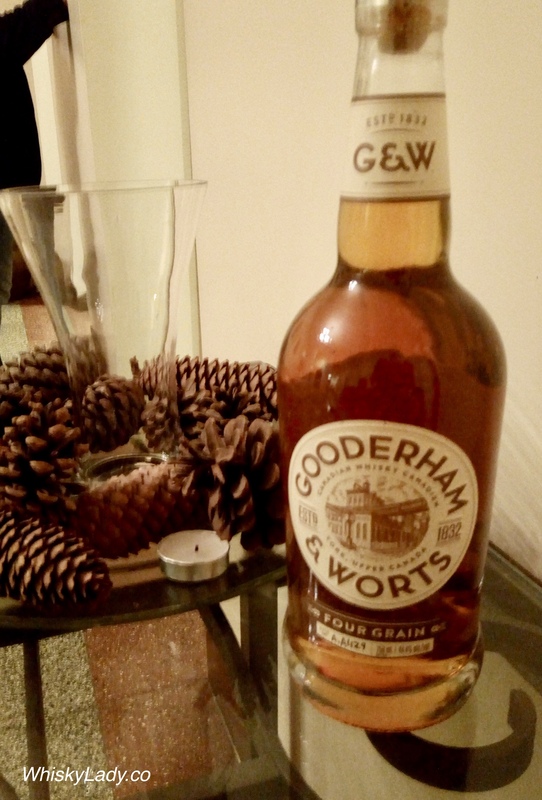 This Gooderham and Worts Four Grain featured in an earlier “O Canada” evening – with initially not so enthusiastic impression followed by social occasions where it was a complete hit! Overall we found it was very sweet. A clear reflection of all its components of corn, rye, wheat and barley. Most had started with rather – ahem! – modest expectations and were quite pleasantly surprised. After resting covered for some time, we came back for a revisit – initially greeted with a sharp grain, vanilla and then… remarkably a most distinctive chaat masala emerged with full on black salt. It may sound odd but it wasn’t bad, just unexpected. As we settled into the cigar puffing part of the evening, this blend held its own… not such a bad start to our Canadian explorations. A blend of corn, rye, wheat and barley and bottled at 44.4% ABV this pours a golden/amber colour. On the nose look for notes of honey, toffee, dried flowers, and bubble-gum; the palate is rich and full with a smooth/viscous mouthfeel and flavours of sweet floral and stone fruit followed by a medium-length spicy finish. Thanks to Canada’s regulated approach to the sale of liquor, one can easily find both where to buy (simple – your provincial LCBO) and how much (currently C$44.95), with this blend relatively easy to find in Ontario. And if you are picking this up in Toronto and feeling a little nostalgic, I’d recommend a wander through the old distillery district where you can see what once upon a time was the building that produced an earlier avatar! This entry was posted in Beyond Scotland, Blends, Canada and tagged Blend, Four Grains, Gooderham and Worts, Gooderham and Worts Four Grain by Carissa Hickling. Bookmark the permalink.